Developer : MapMyFitness Â© 2014, MapMyFitness Inc. 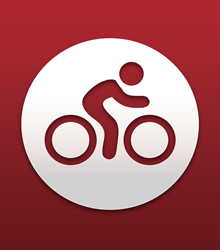 This app features as an extension of the Map My Fitness application, allowing you to keep complete tabs on your latest bicycle ride. The interface is simple, allowing you to set up a daily routine. All you do is, once you’re ready, begin the app and start pedalling. The GPS tracker facility allows you to focus on the ride rather than how long you’ve been cycling or how many calories you’ve burned. The app then logs the router that you’ve taken, the average pace, the distance, the top speed, the approximate number of burned calories, the elevation of the path…you get my drift. One of the reasons I’ve come to love this app is the simplicity of it all. Of course, the really advanced features are available as a $5.99/month upgrade, but the free version also comes packed with its own bunch of features. Like the other apps from the MyFitnessPal stables, this app also offers compatibility with over 400 wearable devices. The app seemed to integrate seamlessly with my Moto360, with the dial displaying the distance travelled and the amount of calories burned, with my vital stats; all with the swipe of a finger. The app also offers precise voice feedback for workout’s, pace, route and distance. While this is a decent feature, the volume of the voice over does tend to get a little annoying, specially when you are caught up in the ride. The app also has a timeline feature, where you can take and share pictures of your ride – Not exactly the Instagram of the exercise app world, but hey, it works! You can also log and track other activities apart from the regular cycling and jogging, including yoga, walking and gym workouts. The advantage of being part of the MyFitnessPal app group is that you can seamlessly share your information among the apps itself, thus allowing for a greater detail of understanding to ensure that you are able to work out right! 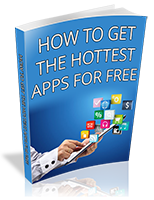 The app is free to download, however, the premium subscription is at a pricey $5.99 a month of $29.99 a year. Available for download on devices running Android 2.3 and up, iOS 7 and up.